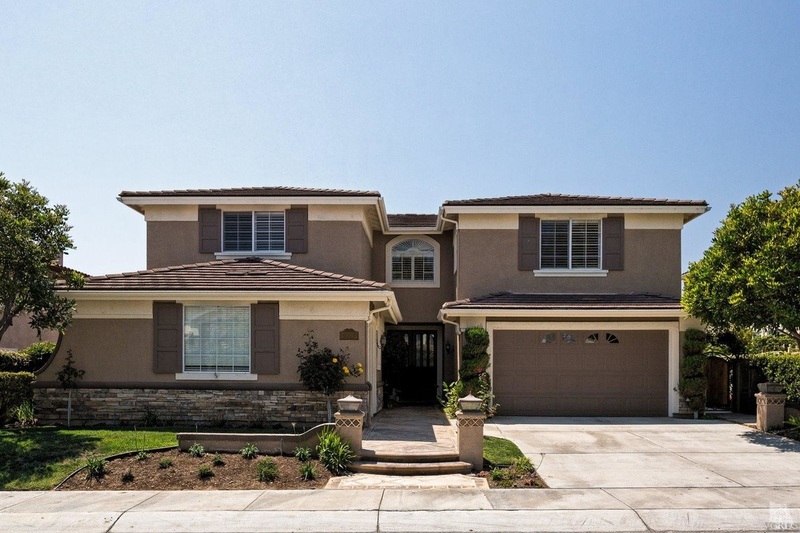 Lovingly maintained and upgraded view home in the coveted gated community of Sterling Hills. Super vaulted ceilings and large picture windows fill the open floor plan with natural light. Ideal for entertaining, the kitchen has bar island seating and dining space in addition to the formal dining room. The backyard landscape is stunning and was featured on HGTV when completed. It features a waterfall that leads to a brook and koi pond traversed by storybook cottage style bridges and river rock stepping stones. Fire pit, built-in viking grill area, bar seating and majestic sunset and golf course views. The home features 5 bedrooms and 4 and baths with 3 being en suite. This master model is the second largest in sterling hills at 3.980 sq./ft with a first floor bedroom and a resort style master bed/bath.